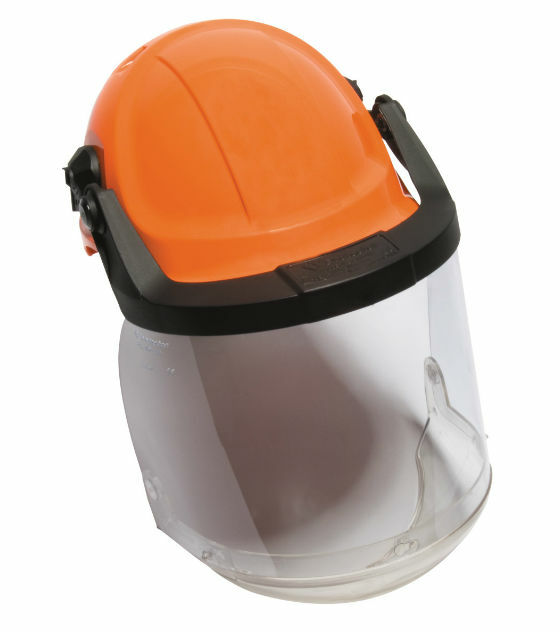 3M Scott Safety Interchange IV901PC & IV901PA Face Shields with integral chin guard and optional anti-fog properties (IV901PA). 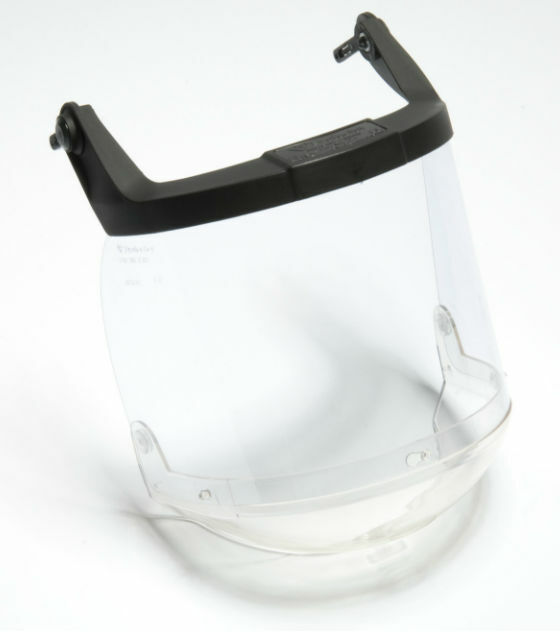 The IV901PC and IV901PA face shields are suitable for general use in industry for protection of the eyes and face. Polycarbonate face shields give medium impact protection, protection against molten metal splash and their chemical resistance is most suitable against inorganic acids, inorganic solvents and other inorganic compounds. The IV901PC and IV901PA face shields have been designed to meet the requirements of EN166 for impact, liquid splash and molten metal splash. Face shields should be inspected for deterioration or damage before each use. If the face shield has impaired visual properties or is otherwise damaged it should be discarded. Clean regularly using warm water and a mild detergent, pat or air dry. 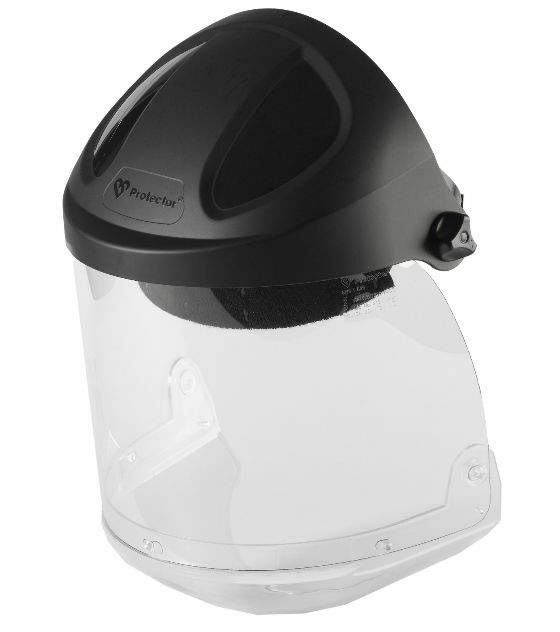 As the face shield is subject to dirt, dust and liquids etc., it cannot be recycled. Disassemble and dispose of as solid waste.